Shri. K.J. Alphons, Union Minister for Tourism inaugurated the project “Development of North East Circuit: Rangpo– Rorathang- Aritar- Phadamchen- Nathang-Sherathang- Tsongmo- Gangtok-Phodong- Mangan- Lachung-Yumthang- Lachen- Thangu-Gurudongmer- Mangan- Gangtok-Tuminlingee- Singtam” in the presence of Shri Ugen T. Gyatso, Minister of Tourism & Civil Aviation, Government of Sikkim in Gangtok, Sikkim today. The project implemented under Swadesh Darshan Scheme of Ministry of Tourism, Government of India was sanctioned by the Ministry in June 2015 for Rs. 98.05 Crores and is the first ever project in Sikkim under the scheme. Under this project, the Ministry has developed tourism infrastructure facilities like Tourist Information Centre, Meditation Centre, Organic Eco Tourism centre, Log Huts, Zip Line, Flower Exhibition Centre, Walkways, Souvenir Shops, Cafeteria, Rain Shelters, Wayside Amenity, Last Mile Connectivity, Parking, Public Toilets etc,. Inaugurating the project, Shri. K. J. Alphons appreciated the efforts taken by the state in completing the project and added that Gangtok is incredibly clean that it can match with any city in the world in terms of its level of cleanliness and hospitality. Highlighting the achievements of India in the Tourism sector last year, the Minister said that the country has been ranked 3rd by WTTC’s Travel and Tourism Power and Performance Report for absolute growth in Tourism for the year 2017 and also India’s growth at 14% in terms of Foreign Tourist Arrivals in 2017 while world tourism grew at 7%. The Minister also commented upon the initiatives of the State Government in promoting home stays in Sikkim which provide jobs to citizens of all segments and also appreciated the State Government’s steps for Sustainable Tourism and Dispersing destinations policy. 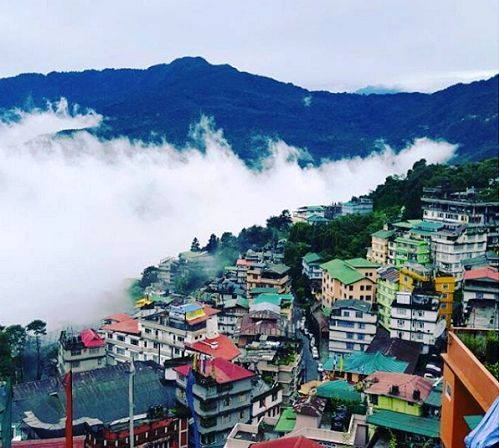 The Minister added that the Union Tourism Ministry has sanctioned another project in Sikkim under Swadesh Darshan scheme, the work of which is 75% complete. The ongoing Swadesh Darshan project in Sikkim that the Ministry has sanctioned is “Development of North East Circuit: Singtam– Maka- Temi-Bermoik Tokel- Phongia- Namchi –Jorthang- Okharey- Sombaria-Daramdin- Jorethang- Melli” in September 2016 for Rs.95.32 crores. The work under the project is in progress. The development of Tourism in North Eastern Region being prime area of focus for the Ministry of Tourism, several initiatives for growth of domestic and international tourism in the region has been taken by the Ministry. One of the many challenges region faces in development of tourism is the absence of quality infrastructure, services and awareness about the array of tourism products region has to offer. The Ministry is carrying out number of activities to handle the issues on above fronts. On one hand the Ministry has given great impetus to the tourism infrastructure in the region under its flagship schemes of Swadesh Darshan and PRASHAD. For development of Tourism infrastructure, the Ministry has sanctioned 16 projects for Rs. 1349.04 crores covering all North Eastern States under its schemes of Swadesh Darshan and PRASHAD. The Ministry is actively working with other Central Ministries like Mo/Culture, M/o DONER, M/o Road Transport and Highways, M /o Civil Aviation etc. for development of Tourism in the region. 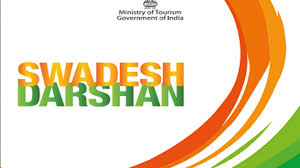 Swadesh Darshan scheme is one of the flagship scheme of Ministry of tourism for development of thematic circuits in the country in a planned and prioritised manner. 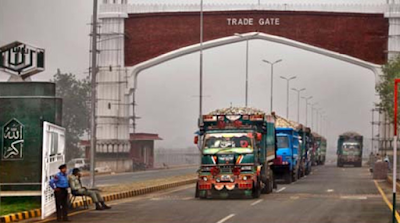 Under this scheme the Government is focussing on development of quality infrastructure in the country with objective of providing better experience and facilities to the visitors on one hand and on other hand fostering the economic growth. The scheme was launched in 2014 -15 and as on date the Ministry has sanctioned 77 projects worth projects for Rs. 6121.69 Crore to 30 States and UTs. 30 projects / major components of these projects are expected to be completed this year. 11 projects have been inaugurated as on date under the scheme. For promotion of North East region Ministry carries out special promotion in domestic and international markets highlighting regions diversity, tourism products and its rich culture. The Ministry of Tourism has also set up Hotel Managements and Food Craft Institutes for creating skilled manpower in tourism and hospitality sector in the North Eastern Region. The efforts of Ministry have shown positive results and the Foreign tourist arrivals in the region has shown an upward trend over the years. The region received a total of 1.69 lakh foreign tourist visits during 2017 as against 1.45 lakh in 2016 registering a growth of 16.7% over 2016. The Domestic Tourist Visits reached to 95.47 lakhs in the year 2017 against 77.71 lakhs registering impressive double digit growth of 22.8% over 2016. The increased number of tourists in turn has created better employment opportunity for the local population in the region. India’s rich cultural, historical, religious and natural heritage provides a huge potential for development of tourism and job creation in the country. There is a great scope and need to develop tourist circuits on specific themes to attract the tourists having special interest in visiting such places. This can be achieved only through an integrated approach by providing engaging experiences for distinct categories of tourists i.e. Domestic and International. Various themes which are unique and specific to the area can include beaches, culture, heritage, wildlife etc. Such theme based tourist circuits should be developed in a manner that supports communities, provides employment and fosters social integration without comprising upon the environmental concerns and provides unique experiences to the tourists. In due recognition to this the Government of India, Ministry of Tourism (MoT) launched the Swadesh Darshan Scheme (Central Sector Scheme)– for integrated development of theme based tourist circuits in the country in 2014-15.